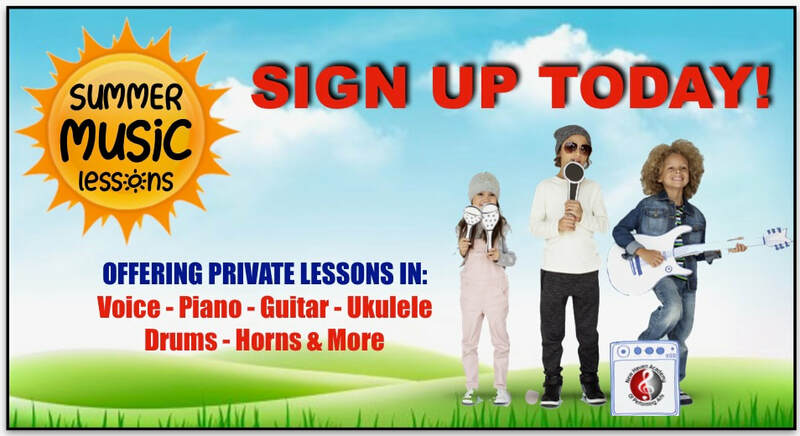 "Summer is THE PERFECT TIME TO START MUSIC LESSONS"
An annual registration fee of $50 per student ($85 max per family) is due at the time of registration. This fee is non-refundable. All requests for changes in your permanent instructor, lesson day, and lesson time should be made in writing to our business office. 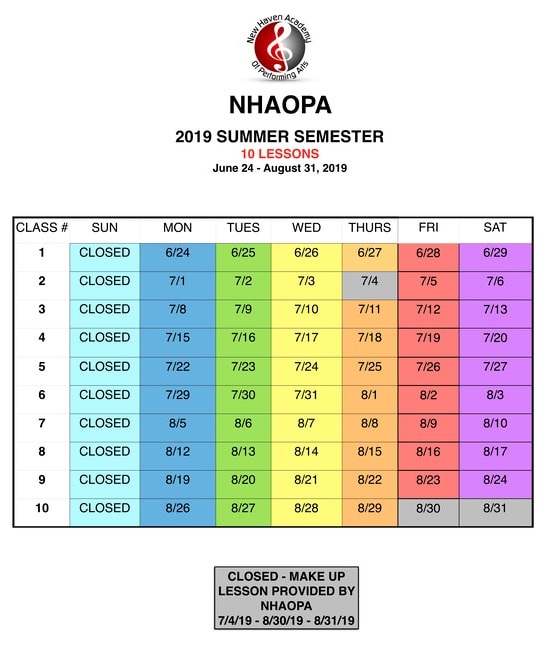 This can only be done once per contracted period except for students who are on the academic year plan. Academic Year students may change their lesson time twice per academic year with a maximum of once per semester. Tuition is charged based on the lesson package that you pick. We are able to set up payments to be processed via auto pay by pre-authorized credit card Please complete an authorization agreement for ACH payments with our business office. In the event that an ACH transaction or check is rejected for insufficient funds, a $25 fee will be added to your account. Late Payments made will be subject to a $25 late fee.